In Philadelphia, Tubman took on odd jobs to earn some money, but she wanted to return to Maryland to rescue the rest of her family. 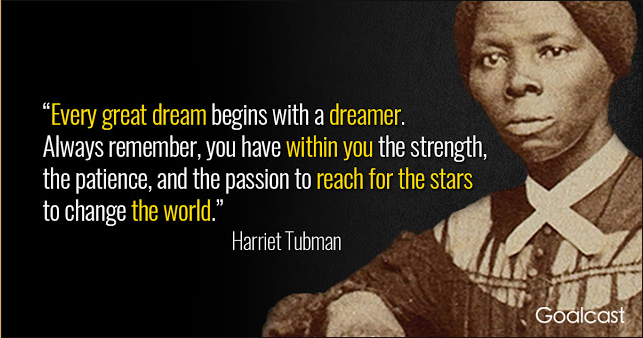 A significant element of Tubman’s life was her strong religious faith. From her childhood, she had learnt aural biblical stories, and although she couldn’t read, she felt a strong faith in the presence and guidance of God. She related receiving intense visions and clear messages coming from God, and on the dangerous missions, she trusted in the direction and protection of God to succeed in her mission. 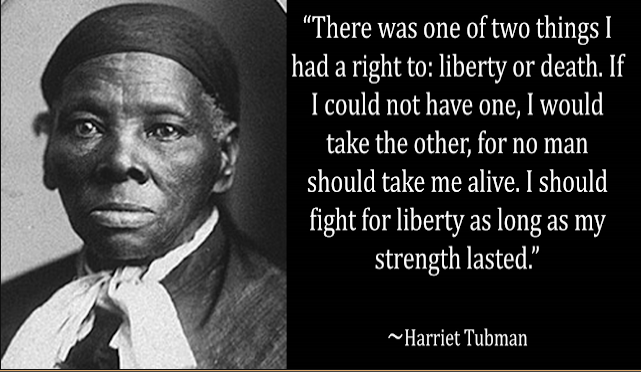 After the civil war, Tubman returned to Auburn where she continued to look after her family and other ex-slaves. She also remarried (Nelson Davis, 20 years her junior). They adopted a child Gerti. Denied a pension, her financial situation was poor, but friends in the abolitionist movement helped raise funds. An authorised biography Scenes in the Life of Harriet Tubman was written by Sarah Hopkins Bradford. 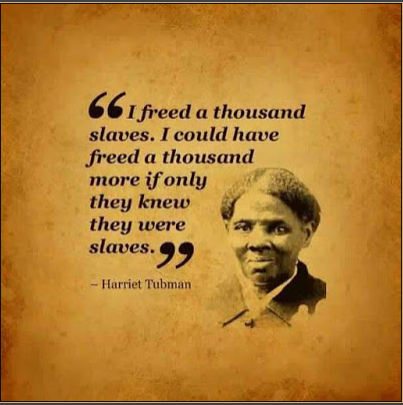 Over the next few years, Tubman often gave speeches on both slavery and women’s rights. She was an excellent storyteller who could capture the imagination of the audience. She donated her property to the African Methodist Episcopal Zion Church in Auburn to be converted into a home for aged and coloured people. After becoming increasingly frail, in 1913, she died of pneumonia, surrounded by friends and family. Thank you so much, CLANCY TUCKER, for always providing such interesting blog posts! !